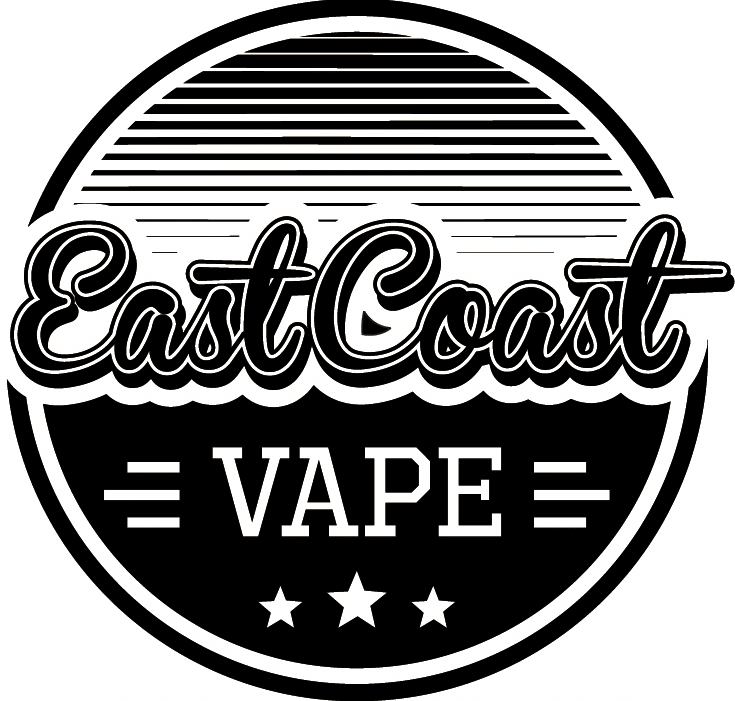 A to Z of Vaping - East Coast Vape Co. It can be scary and confusing entering the world of Electronic Cigarettes. With the industry booming, and so many companies and products appearing overnight it is hard to know who and what to trust. Whether you are new to vaping, or you are a seasoned pro, this A-Z should clear up any vape terminology that you were unsure of. We would also like to point out that because this industry is fairly new and constantly evolving, some terms may be subjective. The atomizer is the electronic component inside your e-cigarette / vaporiser that turns the e-liquid into vapour when heated. See also; Coil, RDA, RBA, RTA. An adapter is a connection piece to fit a specific threading between a battery (aka mod) and a tank/atty. You can also get adapters for drip tips and extensions to mods to extend the battery capacity. An ADV is an e-liquid that vapers like to use all day long. APV is a term used to describe an advanced vaping device compared to the more basic starter e-cigarette kits a ‘newbie’ may use. One example would be a Box Mod used with an RDA (Dripper). Aspire is a renowned company that produces tanks and other vape devices. If you have heard of the Nautilus or the Atlantis (names of two of their products) then you will have heard of Aspire. Batteries can be in-built to your device and charged with a USB cable or are removable and rechargeable. Battery requirements can vary but the most common type used in devices to date is the 18650. It is important to check the user manual for your device to see exactly what type of battery is required for the best performance and safety. Box Mods have become extremely popular in the world of Vaping. The box shape allows for more battery capacity, OLED screens, Temperature Control and more. Sizes and styles vary but are either in a square or rectangular form compared to the cylindrical tube shaped devices that are common in the basic starter kits. The charger for your device is in the form of a USB cable and can be used at the mains or through a laptop or PC. You can also buy separate chargers for batteries if you have a device with a removable battery function. Refers to e-cigarettes that are in the shape and style of a real cigarette (analogue). Clearomisers holds the e-liquid in your electronic cigarette / personal vaporiser. At the head of the clearomizer you have the drip tip (mouthpiece), inside you have the atomizer coil (which heats up the liquid into vapour), and at the base it connects to the battery. You can buy replacement tanks in a variety of styles, sizes, and materials from pyrex to stainless steel. A ‘clone’ is a counterfeit product. We do not sell clones at East Coast Vape Co. and believe that safety and performance is important, which is why we only stock and use originals from trusted brands. Users who seek large clouds of vapour by the use of high-powered devices with atomizer coils under 1.0 ohms and 0.5 ohms. See Sub-Ohm for more information. Cloud Chasing is a term referring to the activity of producing big clouds and is part of ‘Sport Vaping’ where competitions are held to determine who can blow the biggest clouds of vapour. See Flavour Chasers for alternative. A specific type of material, like nickel, kanthal, or titanium that is coiled up and heated to turn the e-liquid into vapour. The coil is wicked with materials that absorb the liquid, like organic cotton. You can purchase packs of pre-made coils that are easily replaced into your tank. Experienced vapers tend to build their own coils, such as the popular Clapton style, which can be a hobby whilst also being more cost effective. Cotton is the material most commonly used to wick coils. Two popular types of organic cotton used to re-wick coils in RBAs and RDAs are Japanese and Egyptian. A drip tip is the mouthpiece on your tank (clearomiser) which your inhale the vapour from.Drip tips can be customisable and come in a variety of sizes, textures, styles and performance. Dry Hits occur when there is not enough e-liquid left in the tank (clearomiser) or the e-juice has not had time to soak into the wick (usually organic cotton), if just re-filled. Dry Hits can damage your coils and reduce their lifespan, so it is important to make sure that you have liquid before hitting the power button. The most common name used to refer to vaping devices, especially by newbies/non-vapers who don’t know about the breadth of products on offer, which are quite unlike analogue cigarettes. There is no burning of tobacco or any smoke produced from an E-Cigarette. An E-Cigarette can be one of many different devices on the market that allows a user to inhale a liquid vapour with or without nicotine. It is a healthier alternative and substitute to smoking tobacco and shisha. An E-Cig can come in a variety of styles from disposable pens, to cigarette-style devices, to a tubular device, box mod devices and even in the form of old fashioned pipes or cigars. The liquid required to use and enjoy your electronic cigarette – this is what you end up inhaling. Commonly available in a variety of nicotine levels, from 0mg (zero nic) up to 24mg of nicotine. There is also a mix of ingredients between Propylene Glycol (PG) and Vegetable Glycerine (VG) which can alter the taste, flavour, throat hit and vapour production. Flavours of E-Liquid come in a large range and variety. Vapers who prefer the flavour above all else with their vaping experience. To achieve a better level of flavour intensity, high PG e-Liquids are thought to be the best taste carriers. See Cloud Chasers for alternative. Common screw posts found on the decks of rebuildables (RDAs) or (RBAs) that hold the coil in place. A Hybrid Mech Mod (mechanical mod) is a high quality device without a standard threaded 510-connection. The atomizer is fitted directly to the battery which can transfer power better and sits more flush to the device. Innokin is aleading force in today’s vape industry. The Chinese company produces popular e-cigarettes and advanced personal vaporisers, including the CLK, Cool Fire, and the Disrupter. Power measured in Joules (Units) used in Temperature Control mods. Manufacturers are now including Joule settings which can be adjusted like Watts and Volts. Higher Joule setting = more heat. Kangertech is company renowned for producing vape mods and tanks. One of the most popular and reliable companies on the market. The EVOD 2 is popular starter kit, whilst the Kanger SUBOX Mini has become more appealing to vapers looking to upgrade. Kanthal A1 is seen as the best type of Kanthal wire to use for building coils. Lithium Polymer and Lithium Ion. Lithium-based rechargeable batteries and the most commonly used in powering-up devices. Referring to the ohms on an atomizer (See sub-ohm for more details). A direct hit of vapour to the lungs as opposed to a mouth-to-lung hit. A direct lung hit can be achieved depending on the type of device, tank and coils used. Usually sub-ohm vaping is best to achieve a big lung hit. Means milliamp/hour and is the measure of the energy storage in the battery. The higher the mAH on your battery, the longer it will last and run for before having to be charged. A mechanical mod simply delivers power from a battery to your atomiser (tank) without any electronic regulations. Because of this, mechanical mods are losing popularity due to the lack of safety features. The rise in production of regulated devices with a chipset has allowed vapers to experience sub-ohm vaping without the need to use a Mech Mod. However, mechanical mods are still favoured amongst some members of the vaping community as DIY/customisable mods or collectables. A Mod is an advanced e-cigarette. Short for ‘modification’ and originally used to describe custom builds. Today a Mod can refer to any vaping device that is not a cig-a-like and is available in a variety of builds. A majority of mods allow you to modify the settings like wattage, voltage, temperature control and other functions. See also: Mechanical Mod, Box Mod. A type of wire used to build coils with temperature controlled devices. The unit measurement of resistance. Standard pre-made coils usually vary from 1.2 ohms to 2 ohms. We recommend you do your own research on Ohm’s Law for more information. A rubberised ring that you may find on parts of your tank, it allows for safe and easy screwing and unscrewing, especially if it’s glass to metal. The term can also be used to describe a vape trick in which the vaper blows a ring of vapour (similar to a traditional smoke ring). This is one of the key ingredients in your E-Liquid. PG is a thinner liquid that creates a throat hit and carries a lot of flavour (whilst VG/Vegetable Glycerine creates the vapour). Ratios in E-Liquids vary from 50/50 percentages to higher PG or higher VG. An RBA allows you to customise and create your own atomiser and coil for your tank (clearomiser). It is for experienced users who know how to build coils and wicks with a choice of materials to create a particular vaping experience. An RDA is also commonly referred to as a Dripper – because depending on your RDA of choice, you will have to re-drip the liquid quite frequently. However, RDAs produce great clouds and rich flavours and are a popular choice amongst our customers and staff. Similar to the RBA and RDA terms above but RTAs refer to a rebuildable atomiser (coil and wick system) with a tank (clearomizer) basin. A regulated mod is a type of e-cig battery that has a circuit board to regulate the current. Usually regulated mods will have a function to change the Voltage (V) and the Wattage (W) and are considered the safer option for vapers than mechanical mods, which are unregulated. The resistance of the atomiser being below 1.0 – If you want to produce big, thick clouds then you should consider a sub-ohm tank set up. You will need a battery/mod that is capable of firing a sub-ohm tank. There are global competitions for vape tricks and those who enter are known as ‘Sport Vapers’ along with Cloud Chasers. A term usually attributed to mechanical mods because there is no circuit board in them to regulate the current. It is important to do your own research on Ohm’s law and batteries for your own safety when using unregulated vaping devices. This is a phrase that’s applied when a vaper has been vaping too much, or they have used the same e-liquid flavour for a long period of time, and can no longer taste the flavour of their liquid as well as they used to. Also, it can affect those who are new to e-cigarettes who have found their taste buds have changed within a few months, since they are no longer smoking tobacco. VG makes up a key part of your E-Liquid and is responsible for the vapour production part and is thicker in liquid than PG/Propylene Glycol, which is thinner and gives the throat hit when you vape. Volts or Voltage is the electrical pressure applied. Watts or Wattage refers to the output. The higher the watts the more powerful vape you will receive, but remember your final wattage is configured by the volts and ohms. To re-wick is often referred when you have to replace the wick or the cotton in a tank (atomiser). The wick absorbs the liquid. Zero Nic stands for 0 Nicotine for E-Liquids. Nathan you are doing such a good job!! Thanks for all the explanation! I had a great lesson!! Helpful post, many thanks for sharing vape fam. A massive shoutout to all vapers from San Diego, Cali! If anyone happens to ever be there, make sure to pop into our vape store (South Coast Vaper Co.) for some really good e-juice tasting and a sociable conversation! Have an awesome day everyone and as always, keep your head in the clouds!